It’s important for you to keep your spine straight in the lotus position; you should also keep your eyes closed and focus your attention on your breath in shavasana; and your mind should not wander when you’re perform the reverential salutation to the sun. The only problem is, none of these things really have anything to do with yoga. Let me share something with that your yoga teacher may have forgotten to mention. If you’re not working on de-constructing your ego-self, then you’re not doing yoga. What is it, This Ego Self? In our Western culture, the word ‘ego’ refers to certain characteristics that often make someone intolerable in the eyes of others, things like arrogance, selfishness and an inflated sense of self-importance. Based on that view, most people would probably say that they don’t have an ego. But the very fact that they would say “I don’t have an ego” indicates that they do! “The egoself, or ahamkara (literally, the “I maker”), the sense that ‘I am doing, I am feeling, I am thinking’, is a relatively high level of existence … One has climbed quite a distance up the evolutionary ladder to even possess an ego! … [But] the ego, like everything else, must not be misused. That sense of being a separate, thinking, feeling, sleeping, eating, ‘doing’ human being, which we all have, is a result of our dualistic perception of reality, the result of viewing everything as separate, disconnected, individual pieces. It reflects our loss of the sense of “oneness,” or profound connection of everyone and everything. If this sense of “oneness” is so important, then how did we so carelessly lose it? First of all, it’s not your fault. All your troubles began almost right from the moment you entered this world, before you even had any idea what you were headed for. Slowly, day by day, week by week, and month by month you were trained by all those who came before you how to interpret everything around you; you were taught to see the world in bits and pieces and yourself as a separate, living, breathing bundle of growing limbs, toe-nails and hair. By adulthood there is a mountain of work ahead in order to break down that illusion and re-connect with that reality of “universal oneness” that you held in your tiny little hands for an ever-so-brief moment when you first arrived on the scene. Fortunately, that is exactly what the practice of yoga is designed to do. Unfortunately, most of what is being done in the name of yoga today probably won’t take you very far towards that destination. 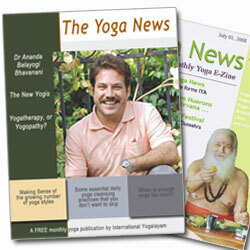 The prevailing attitude among many of today’s so-called yogis is that yoga can be whatever you want it to be. If it’s spirituality you want, then yoga is your path. If you want to relax or lose some weight, then yoga is your game. Spiritual or physical … mental or emotional …. heck, even sensual. It’s YOUR call. This attitude may play well in the marketplace today, but it does little to convey the real practice and potential of yoga. Really, can we simply pick and choose whatever we want from the yogic repertoire, discard the rest, combine it with whatever else we like, and still call it yoga? There is a great deal of irony in this modern attitude towards yoga. This science of all sciences for transcending the ego self is instead being subverted by the ego self, twisted, moulded and contorted into all manner of pseudo-yoga-like stuff. Instead of properly following the process of yoga, which would ultimately lead to the destruction of the egoself, we let the ego itself decide just what it wants, and how it wants it. The problem with that is that the most important thing for the egoself is self-preservation. Put it this way, the ego is not going to create a “new yoga” to get rid of itself! All kidding aside, remember that the whole point of yoga is not to get rid of the parts of it the YOU don’t want. It is to get rid of what’s causing all your problems … YOU! When we have transcended the ego, the sense of separation and duality, then we have regained the sense of “oneness.” This is what the word “enlightenment” means! Let’s be real. Attaining this state is a long and arduous process, and one thing is clear. It can’t happen under the direction of our own self-serving egos. The guidance of a true guru, one who knows the path and the way to successfully travel it, is essential. But even though it may seem light years away right now, we can all take heart in knowing that this highest ideal, the realization of the supreme, unified self, is our unavoidable destiny. So the next time your yoga teacher gently adjusts the position of your arm in trikonasana, just remember that you are not just there to work on your body. In fact, remember that it’s not even your arm!